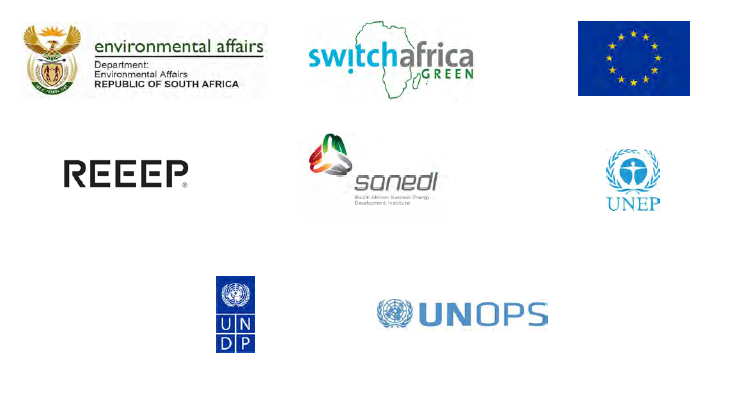 SWITCH Africa Green supports African countries in their transition to an Inclusive Green Economy, promoting a shift toward sustainable consumption and production (SCP) practices and patterns. Despite being home to some of the world’s fastest economic growth rates, Africa faces persistent development challenges and deep-seated poverty, as well risk of increased environmental degradation from new economic activity. To ensure that Africa’s economic boom is economically, ecologically and socially sustainable, it must be driven by an energy revolution: one leveraging renewable energy and energy efficient innovation, driven by technological and commercial advancements and powered by dynamic private sector entrepreneurship. Technologies such as efficient solar powered irrigation systems, small hydro-powered agrifood processing and waste-to-energy systems are already cost effective in many low-income markets, and businesses have developed new models for raising awareness and building customer bases; for empowering and providing finance to clients with limited resources; or for helping customers access new markets for their own goods. To bring about such a revolution, SWITCH Africa Green is supporting African countries in their transition to an Inclusive Green Economy, promoting a shift toward sustainable consumption and production (SCP) practices and patterns. REEEP and SANEDI seek to lay the groundwork for South African MSMEs and eco-entrepreneurs in the agricultural and waste management sectors as they begin and manage this transition. Specifically we aim to increase awareness, up-take and successful implementation of SCP practices and sustainable energy opportunities for MSMEs in agrifood value chains in South Africa, interlinking with established initiatives and build existing insights. The target group and final beneficiaries of the program are MSMEs in the Agriculture and Integrated Waste Management sectors in South Africa, for whom a stakeholder platform will be established and a series of capacity building and training workshops will be provided. Supports the development of green agro-businesses and eco-entrepreneurship via the use of SCP practices, and equip MSMEs across the key priority sectors to seize green business opportunities, and in doing so promotes South Africa’s transition towards an inclusive green economy. Provides an opportunity for resource-efficient and cleaner production implementation and alignment with the 10-year framework of programmes on sustainable consumption and production patterns. The project is funded by the United Nations Environment Programme and the European Union, and ran from November 2015 to January 2018. The carbon footprint of the administrative activities of the project was offset by the purchase of 70 Renewable Energy Certificates. Click on the trust seal button below to view the details.